Welcome to Miami! Bienvenido a Miami! Miami is a city like no other. Close your eyes and dream of Miami…beautiful blue water everywhere at every turn, white sandy beaches, colorful architecture reminiscent of simpler days, tropical foliage, and a skyline that is internationally known. This Magic City is waiting to be explored with kids in tow! Now more than ever, Miami has become a family playground complete with family-friendly hotels and resorts, museums, and more. Miami is vibrant, colorful, and exciting for kids and adults alike! Get ready to drop the top on your convertible as we soak up the sun and dive into all this city has to offer! 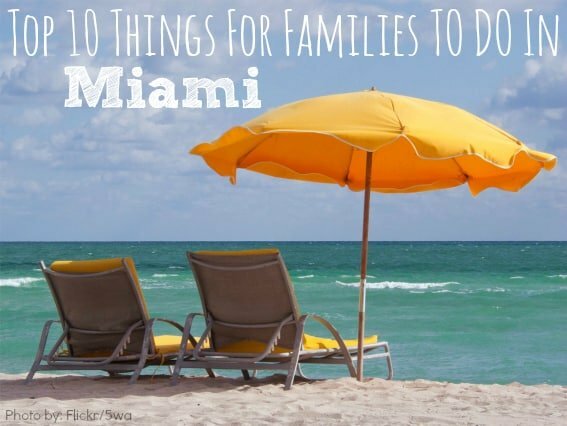 Here are our top 10 things for families to do in Miami! 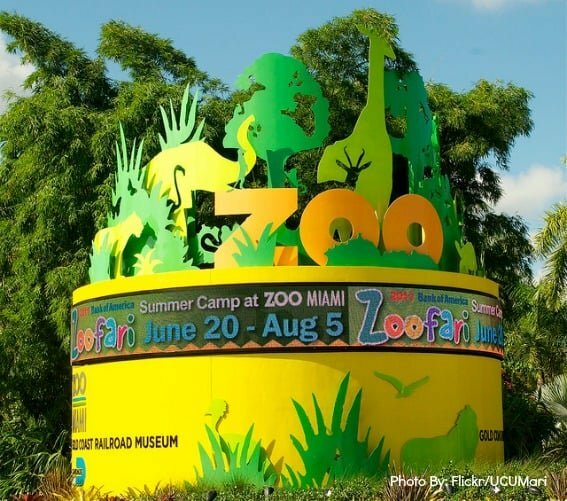 The Zoo Miami (formerly Miami Metro Zoo) is the largest and oldest zoological garden in Florida. It has over 300 acres of animals, playgrounds, and splash pads for little (and big) ones to enjoy. Wear those walking shoes, put on the sunscreen, and be prepared to spend all day here! The zoo offers family bike rentals which are fun and a great way to see the zoo. Have lunch at the Oasis Grill, which is near two large play areas – Jungle Journey and Ocean Voyage. It makes a great pit stop for the parents as the kids have fun too! 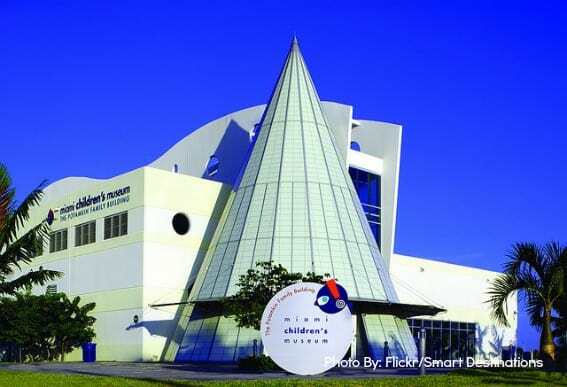 The Miami Children’s Museum is a wonderful way to learn, explore, have fun, and cool off. Enjoy arts and crafts, costumes, a music and TV studio, a mini Publix, and much more. Located near Downtown Miami, this is the perfect spot to check out with younger kids (ages 8 and under) while on vacation. Plan a visit here for a few hours while exploring the city! Have an animal lover in the family who has always dreamed of hanging with the lemurs or feeding kangaroos? If so, then Jungle Island should be on the list of places to see. Jungle Island is on Watson Island where beautiful blue water, amazing homes, and impressive cruise ships are just next door. Today’s Jungle Island is home to the world’s rarest and most incredible animals, including a set of twin orangutans, a tiger billed as the world’s largest cat, and the most lethal bird on the planet, the Cassowary. Visit this 18-acre tropical paradise that is home to animals that you won’t find anywhere else besides the jungles of South Africa, Peru, or the Amazon! Watch condors soar over-head. Visit Manu, Peru to walk alongside the colorful macaws and squirrels monkeys that roam freely. Learn about the Florida Everglades, conservation efforts, and all this amazing habitat does for us! Bring your camera because your friends won’t believe that you held a snake or alligator or had a macaw sit on your shoulder! 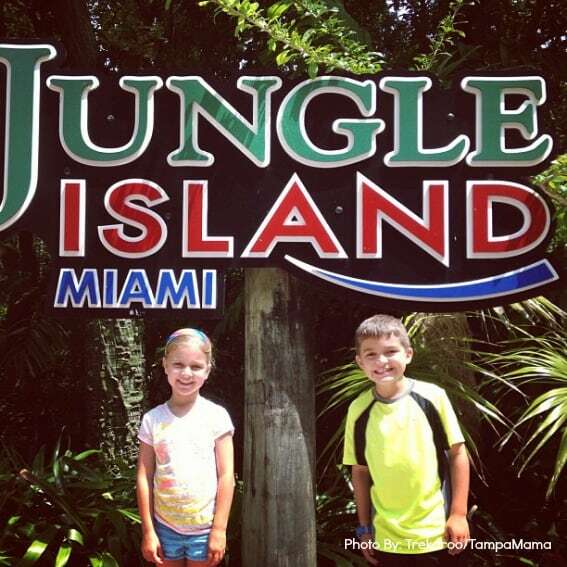 Don’t forget your swimsuit to play at La Playa, Jungle Island’s private beach, after a day of exploring the jungle! Dolphins, killer whales, and sea lions put on quite the show for guests at the Miami Seaquarium located in Downtown Miami. Manatees, crocodiles, stingrays, and sea turtles are all there for the party! 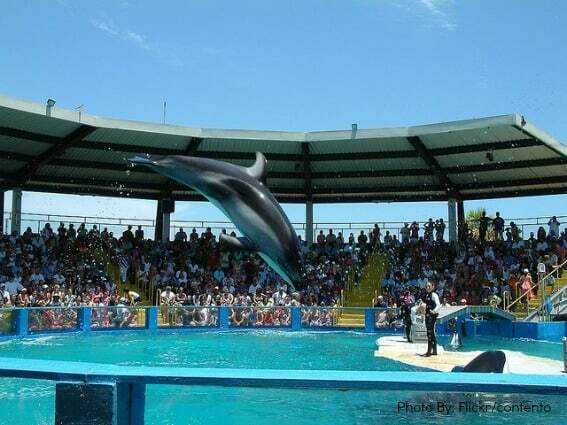 The Seaquarium offers various animal encounter options, a ropes course, and a tropical splash playground. This is a day the whole family will enjoy. “A1A…Beach front avenue!” It’s actually Ocean Avenue that runs through South Beach (SoBe for the cool kids) and it’s just one bridge away from Downtown Miami. Palm trees, sandy white beaches, neon signs, and Art Deco style hotels from the 1930’s line the street. 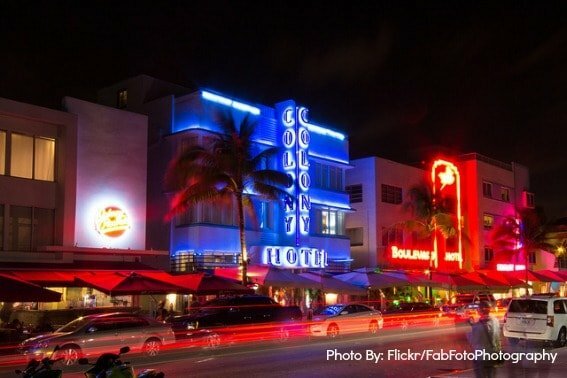 Upon arriving onto the South Beach scene, visitors immediately feel like they have stepped into a postcard. The turquoise water and the liveliness will provide memories to last a lifetime. Stay at a boutique hotel on Ocean Avenue or head to five-star luxury at the Loews Miami Beach Hotel or the legendary and glamorous Fountainbleau Miami Beach where luxurious pools, cabanas, and miles of beaches will occupy families time as they soak up the Florida sun on vacation, the way it was meant to be enjoyed…in style, Miami-style. 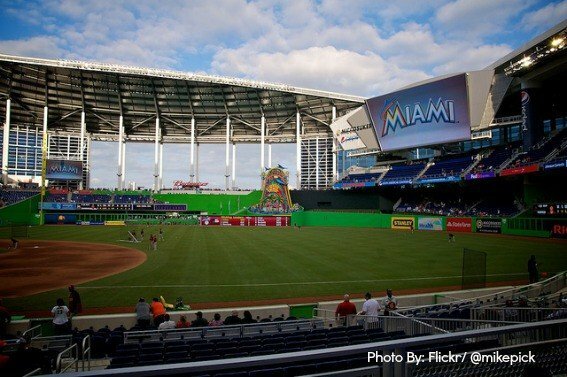 Located in Little Havana since 2012, a visit to Marlins Park is a must for any little leaguer. Marlin fan or not, baseball fan or not, Marlins Park is a brand new amazing facility and one of only six in the entire country with a retractable roof. Games here are never “rained out” and the fan experience is second to none. If you missed the world-famous Clevelander while you were on South Beach, no worries! Grab a drink or a bite at the Clevelander inside the park. Fans won’t just find peanuts and cracker jacks at the concession stand here either! Head over to the Taste of Miami section and eat your heart out. Don’t worry out-of-towners! They didn’t forget you either! At Burger 305, a rotating menu features the opposing teams signature foods. Get ready for those Chicago style hotdogs when the Cubs come in town or St.Louis style ribs when the Cardinals come to play. This ballpark is definitely not one to miss! If they aren’t in town for a game, don’t worry, head over to the park for a behind-the-scenes tour! If you really want to get a feel for South Florida (and I don’t mean the beaches, food, or shopping- I mean the real nitty-gritty), you must take a road trip about 1 hour West to eventually hit the only subtropical wilderness in the United States, the Everglades. 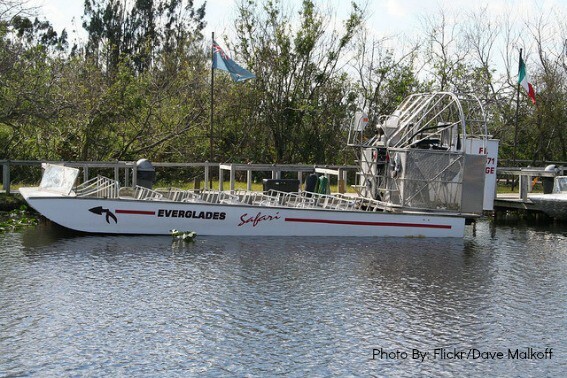 Hop aboard an airboat tour, we love the Everglades National Park Tours, and glide through the winding swamp canals searching for the elusive American crocodile and dozens of other creatures that call the Everglades their home. The kids will have a blast and everyone is sure to learn something interesting and new. 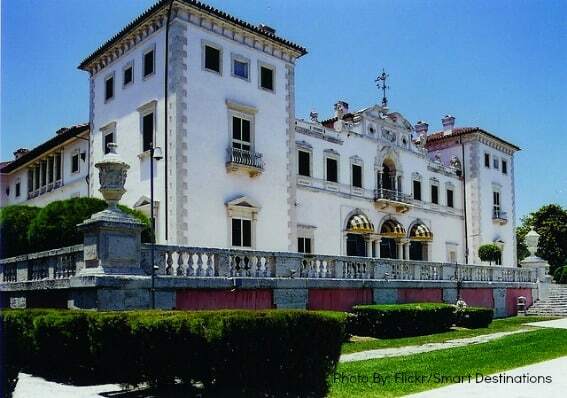 Hop on the Miami Trolley and visit the Vizcaya Museum and Gardens in Coconut Grove, an upscale neighborhood of Miami. One of the most elaborate estates in South Florida, this mansion was built in the early 1900’s for James Deering (of John Deere). Vizcaya features an architecturally significant Main House with 34 decorated rooms, 10 acres of European-inspired formal gardens, and diverse collections including European antiquities, American art commissioned in the 1900s, century-old plants, and 25-acres of endangered primary growth forests. Learning about life from this time period can only be experienced by coming to visit one of the greatest American houses of the 20th Century. If one is in LA, a visit to Rodeo Drive is a must. When in Miami, a visit to Lincoln Road is essential. Lincoln Road Mall is an only outdoor pedestrian mall and known as “the epicenter of what is happening in South Beach.” Fashionable, upscale shopping showcases unique items and stores, along with a movie theatre for when rain cancels those beach plans. Cafes and restaurants have indoor and outdoor seating where people watching can match any place in the world. Take a short and scenic drive over the Rickenbacker Causeway from Downtown Miami to leave the skyscrapers behind for a short while and experience the more natural side of Miami. 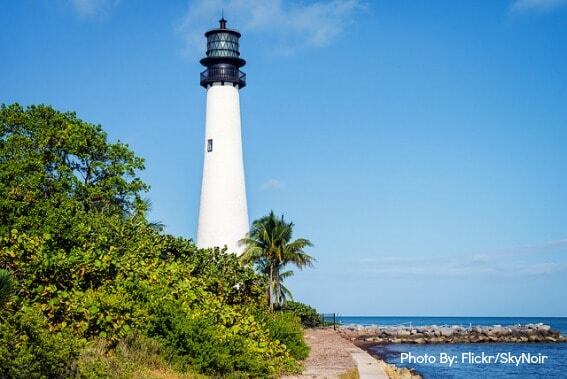 Head to Key Biscayne to visit the Cape Florida Lighthouse inside Bill Baggs Cape Florida State Park. Climb the steps to the top of the 95-foot tower because the view from the top is breathtaking. Sunshine and beaches galore coincide with two major parks on the island – Crandon Park to the north and Bill Baggs Cape Florida State Park to the south. Summertime is sea turtle season so be on the look out as they are protected. Key Biscayne is a must visit when vacationing in Miami. After a long day in Miami, families will have definitely worked up an appetite. Miami offers a melting pot of flavors, cultures, and eclectic menus featuring worldly cuisines. Splurge a little! Visit restaurants that are unique to Miami and have fun with the kids trying new dishes and new flavors. You can’t leave Miami without experience a traditional Cuban meal (and Mom and Dad should always start the vacation day with a strong cup of Cuban coffee). Go to Little Havana and dine at Versailles for the most amazing “ropa vieja” or have a classic Cuban sandwich from Sergio’s. Head to the trendy Lincoln Road Mall and give Nexxt Café a try for its endless menu or Serendipity for world-famous Frozen Hot Chocolate. Big Pink, Shorty’s BBQ, Cheen-Huaye, Pizzarium, and The Daily Creative Food Company are some of the local family favorite hot spots. The Edge Restaurant Miami located in Downtown Miami inside the Four Seasons Miami surprised us as a wonderful place to dine with children. Dining on classic American cuisine (tantalizing steak and potatoes, along with fresh fish and farm-to-table veggies) on the patio over-looking the skyline was amazing as were cooking s’mores poolside with the kids on the roof top deck. Looking for tried and true national chains like Lime Fresh Mexican, Bubba Gump Shrimp Co., Five Guys Burger and Fries, or Cheesecake Factory? Miami has these as well! 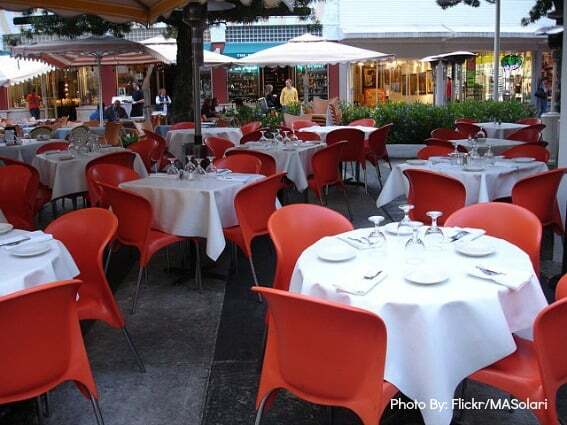 Check out our top family friendly places to dine in Miami! One thing Miami does not lack is luxury hotels and resorts. There are so many options spread among the different districts of Miami that families are sure to find the perfect hotel for a family vacation. Many luxury resorts cater to families traveling with kids and have amenities that will keep kids happy and parents relaxed. South Beach options include the Lowes Miami Beach, which offers spacious rooms and a “kids closet” full of kids/ baby gear, books, strollers, night lights, potty seats, baby bath tub, baby blankets, and even outlet protectors! They offer a SoBe Kids Club as well as “dive-in” movies by the pool during the summer (a favorite amenity at any hotel!). 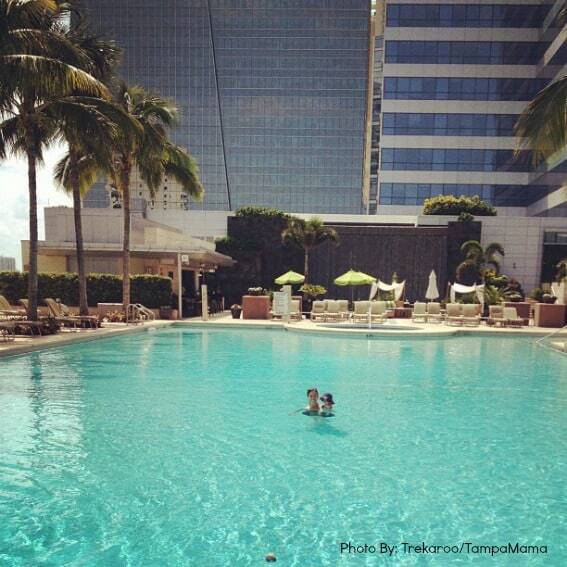 The iconic Fountainbleau Hotel has plenty of palm trees, pools and people! With nine pools and beach access, along with the FB Kids Club, which offers activities for kids all day and night, parents can soak up the sun and relax! The South Beach Marriott is located steps away from the sand, making this boutique hotel a quiet and more intimate setting for families looking for a peaceful setting on the beach in Miami. The Four Seasons Miami is perfectly situated in Downtown Miami on Biscayne Bay and has rooftop pools with amazing views! Just north of South Beach is Sunny Isles Beach. Sunny Isles Beach is nestled between Miami and Fort Lauderdale, located on a 2-mile expanse of white sand and glittering ocean. This luxurious destination is slightly off the beaten path and Florida’s Riviera could be considered the ultimate summer getaway. The Newport Beachside Hotel and Resort offers larger suites, a beach playground, kiddie pool, and a beach volleyball court along with kid friendly dining options. (All rooms come with a microwave and a fridge!) The Acqualina Resort and Spa offers cooking classes for kids, headed by its on-site restaurant Il Mulino New York chefs. Jets skies, kayaks, and even a “dinner and a movie” night, keep kids entertained while allowing parents to relax. Both are among the top family friendly hotels in the Miami Beach area. Check out even more family friendly hotel options in Miami. There might be 45 islands scattered over 113 miles of one VERY long road, but don’t think you have to drive to the Southern Most Point to say you visited the Keys. 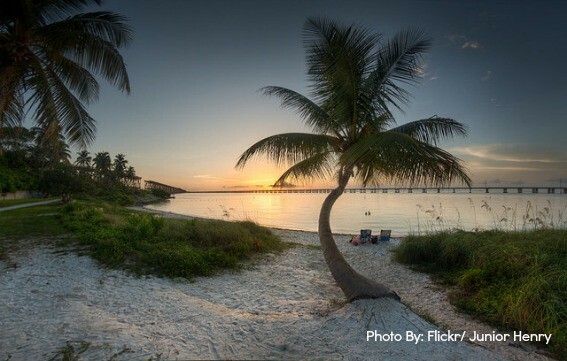 Families in search of the ever relucent postcard with nothing but white sand beaches, blue skies, and a lone palm tree must head to the middle keys and visit Bahia Honda State Park. Another favorite hidden spot only an hour and a half from Miami is Islamorada. Check out the how to spend a weekend in the Florida Keys! 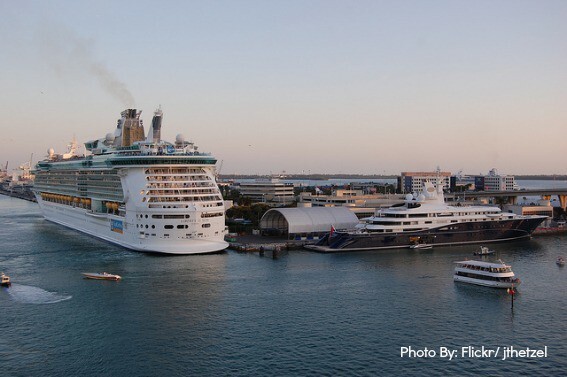 Add on a few days in the city before heading out to sea from the Port of Miami on one of the many cruises leaving for the Caribbean, Bermuda, Bahamas, or Mexico. Even the Disney Cruise Lines leaves out of Miami! With plenty of options to sail on various cruise lines for 3-day to 14-day transatlantic cruises, there are even options to head to the Bahamas for a day via the Bimni Cruiseline, where the panoramic views of the Caribbean will fill your memory for years to come. 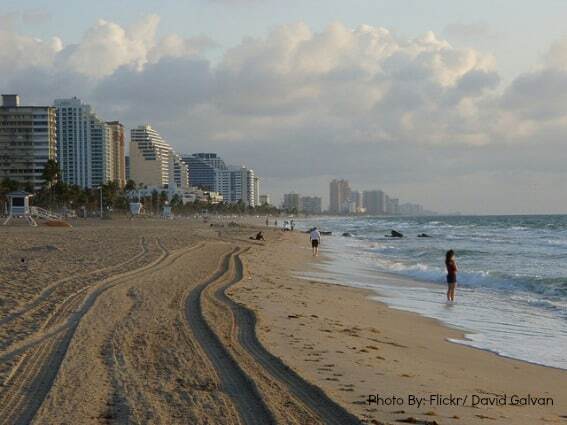 Just north on the Atlantic Coast from Miami, sits a sister city only 30 miles away. They might make up South Florida together, but they are different as night and day. Each city has its own beauty, skylines, culture, beaches, and ambiance. Ft. Lauderdale is definitely worth a day trip (or even a separate vacation) to explore the many family friendly activities and more.